This was a picture I made on a visit to R.H.S. Harlow Carr which is near Harrogate. They have beautiful specimen trees and immaculately prepared flower beds as well as some woodland areas. But I really like the way they encourage humble wild flowers to grow as well, so much more natural and deserving no less merit than the formal plantings in my view. 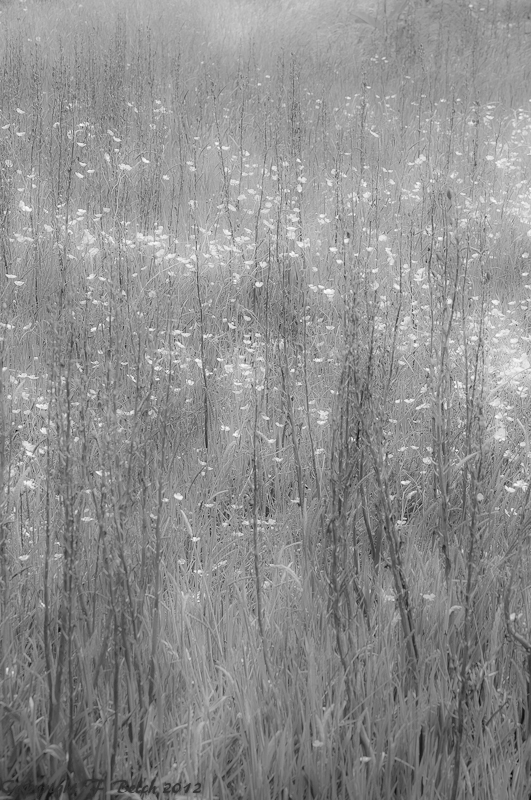 Ethereal view of a meadow.